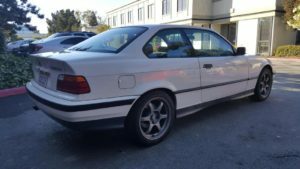 With the recent sale of Milton’s e30, you might think things were starting to settle around on the garage front, but like usual, there was another project brewing. For the last year, he’s had an extra car that was relegated to daily driver duties, but ultimately we knew it was the more capable platform in the long run. 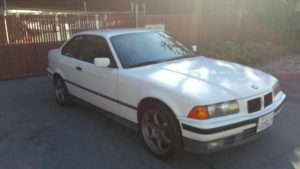 Certainly not fast, and surely not furious comes our latest project car, the 1993 BMW 318is. 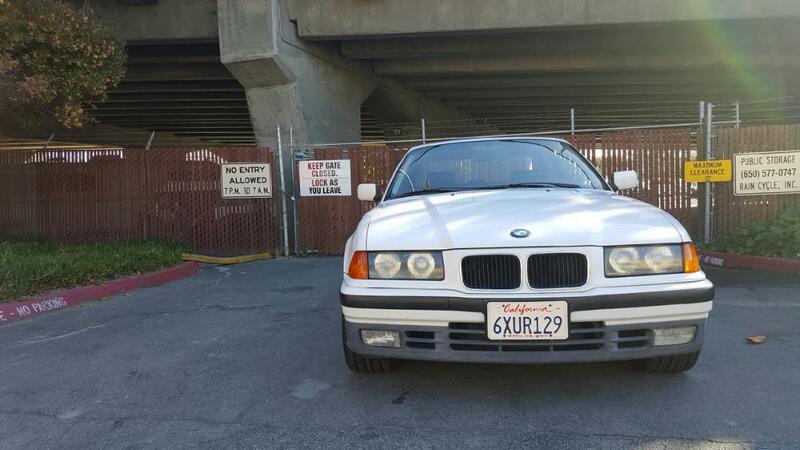 In the land of BMWs, an e36 318 is about as far as you can flee from the world of performance. The 1.8 m42 engine revs willingly, but sub 140 horsepower is isn’t going to burn up the strip anytime soon. Believe it or not, this car works very well for our needs. This 318 in particular is a rather straight example. It’s essentially bone stock, aside from a set of Bilstein HD shocks and some larger 17 inch TR Motorsport wheels. With 140k on the clock, it’s seen mild action in its 23 years on the road. So why the excitement over one of the slowest configurations of the e36 chassis? Simple: less weight. Since this car is such an early example, it does without a lot of the options that later became common place with the 6 cylinder cars. That being said, this 318 doesn’t have a passenger airbag, the seats are manual, the motor weighs at least 60 lbs-100 less, and there’s less sound deadening. Supposedly this e36 weighs under 3,000 pounds. It also features a chic-for-1993 white/grey two tone paint job that would have even impressed the cool kids of West Beverly High. The plan for now is to get this car sorted as a fun daily driver with some tasty suspension upgrades. Throw in a few cosmetic touches, and it’ll be a corner carving machine that can go at least 400 miles on a single tank of gas. From there, Milton can get a second car of his choosing and go as wild as wants (the top contenders either rev to 9,000 or have pushrods and a transaxle). To be fair, I’m rather excited for the simple upgrades planned for this car. My own e36 has had nearly all its parts replaced in one form or another, not to mention it has nearly double the mileage, so it’ll be nice to work on a fresher chassis. Also, this particular e36 318 is devoid of most squeaks and rattles, which makes for a pleasant interior experience. The real test however, is whether the 318 can be left alone after it receives its host of updates, or if this will be another slippery slope. My fingers are crossed, but I’m definitely not going to hold my breath.